Wipeout is a 60 minute competitive game show on ABC where contestants compete to see who can win money by best navigating their way through a huge obstacle course. 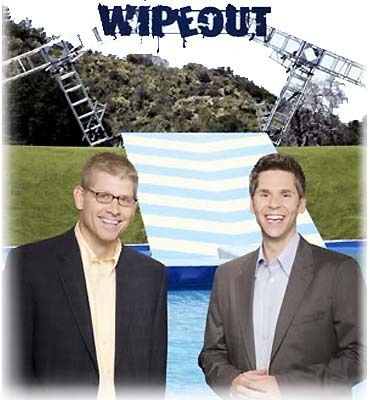 The promos for the Wipeout game show have stated that the contestants compete in the "World's Largest Obstacle Course". Wipeout is taped approximately 40 miles north of Los Angeles, California at the Sable Ranch in Santa Clarita. Thank you for visiting our Wipeout Game Show page!